Our L.A. weather is anything but frightful… but you can still enjoy a snow day this week, right here in the City of Angels! Head over to Playa del Rey on Sunday, January 21 to enjoy Playa Provisions’ 3rd Annual Snow Day. 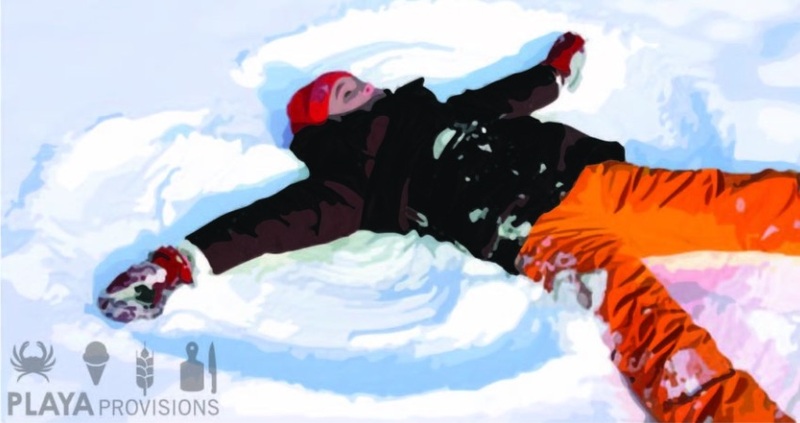 This family-friendly afternoon at the beachside eatery owned by Brooke Williamson (winner of Top Chef season 14) will feature a sledding hill, a bounce house, and heaps of snows perfect for snowball fights, building snowmen and making snow angels. In addition, you can chow on burgers, hot dogs, or vegetarian Beyond Burgers. There will be fire pits for roasting s’mores, along with libations for both adults (hot toddies! cocktails!) and the kiddos (hot cocoa). Admission is $20 for adults (which includes two food tickets and two drink tickets), while kids are $10. Additional tickets are $2 each. Find more information in the link below.